VILLA ESTANCIA. Modern and bright Villa. Property 18: VILLA ESTANCIA. Modern and bright Villa. 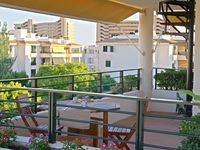 Property 34: Apartment in Palma. experience the beach and Old Town. Property 35: Magnificent photo studio in the center of Palma. Property 38: Ses Copinyes House. A quiet place very well located. First line of the beach El Molinar area 10 minutes from Palma. 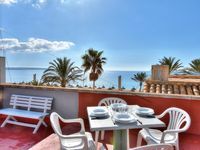 Property 45: First line of the beach El Molinar area 10 minutes from Palma. Apartment was close to the beach and amenities. It was clean and spacious, the kitchen was well stocked and the beds were comfortable. Very helpful owner, who responded promptly to queries. the appartment was very clean and comfortable but the wifi services was too slow. we spent 5 lovely nights there. i was charged 172 euros for cleaning but we didn&rsquo;t see anyone come for cleaning on the daily basis. generally it was good. i will recommend it for other people i know.